My name is Eleanor Beidatsch, I am a 22 year old Biology student at University in Albany, WA, and I have always loved dinosaurs and fossils. 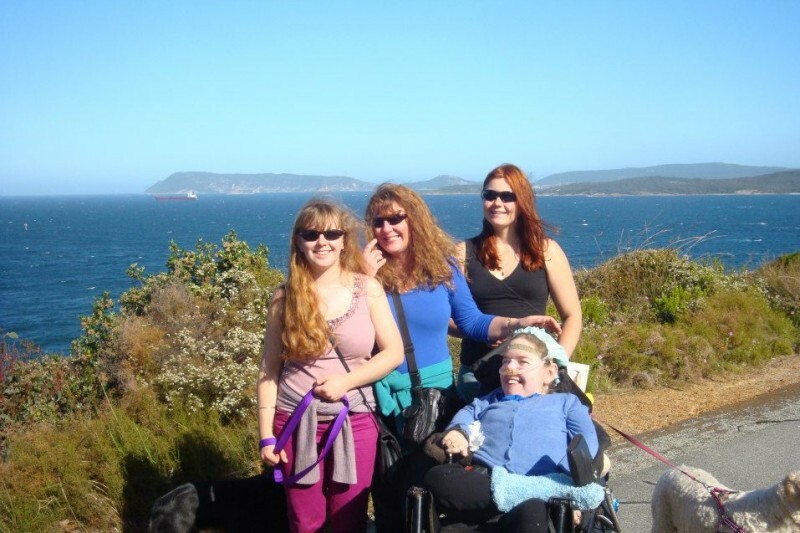 I was born with a disability, Spinal Muscular Atrophy (SMA) . SMA causes progressive muscular weakness. I am in a wheelchair, have trouble breathing and can only move a few fingers and my head from side to side. My neurologist doesn't even want me to fly in case it collapses my lungs. Ever since I was a kid I have wanted to study paleontology (that is digging up fossil) but there are no universities that offer the degree in WA, and my disease means I can't travel there to study. But there is one paleontological dig that I can attend. It is in Lightning Ridge, NSW, and will be run during August next year. It’s called the Lightning Ridge Fossil Dig and it’s run by the Australian Opal Centre and Australian Geographic. There I will get to dig up fossils of dinosaurs. to drive in a vehicle I can sleep in that can carry all of my medical equipment, and that has power in it so my medical equipment can keep me alive on the trip across the Nullabor. Also enough room for my carers who will look after me, and my Mum who will have to drive! So I am asking if people can assist me to achieve my dream dinosaur dig. 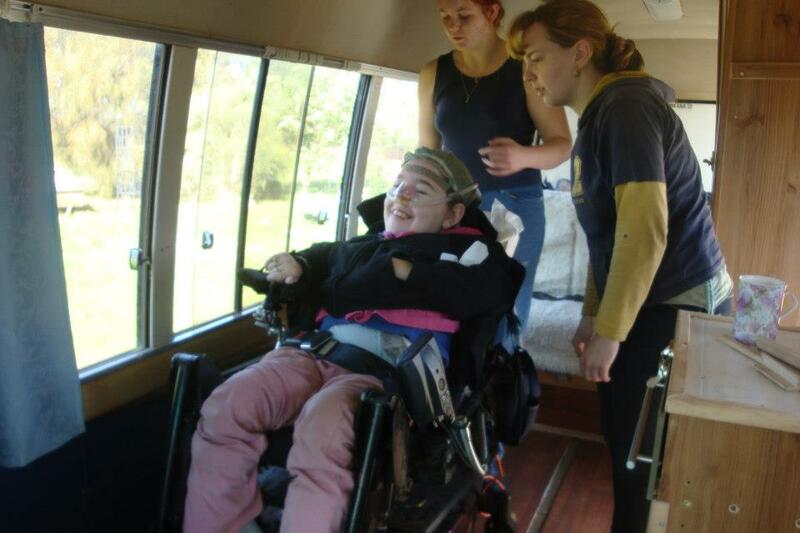 I need to be able to pay for the van to have power in it, registration fees for my carers, and some travel expenses. Mum and I are just on pensions, but if I can't go on this trip, I will never get another chance to dig up dinosaurs. I need to start getting work done on the van soon, so any funds as soon as possible would be amazing, but I won't need everything until August 2016 when I go on my trip! I will be so grateful to anyone who can help me achieve this dream. I hope to be able to Tweet or Blog as I go (depending on internet availability on the site) so people can see what an awesome adventure their donations have paid for. Well hello fundraisers! Most of you are probably aware that, thanks to your wonderful efforts, we made it to Lightning Ridge and returned safely home! I cannot thank you enough for your contributions to this incredible trip. Please check the dig facebook page Eleanor's Dream Dinosaur Dig for updates and pics of how the trip went, and stay tuned for an upcoming video about the adventure! Eleanor's Dream Dinosaur Dig has reached 65% of its goal. Thanks to Albany City Rotary Club, Albany Port Rotary and John. Hello everyone! Exactly one month today and we will be on the road on our way to Lightning Ridge! First I want to say a huge thankyou t all of our donors so far, and a special thankyou to both the Albany Port and Albany City Rotary Clubs. 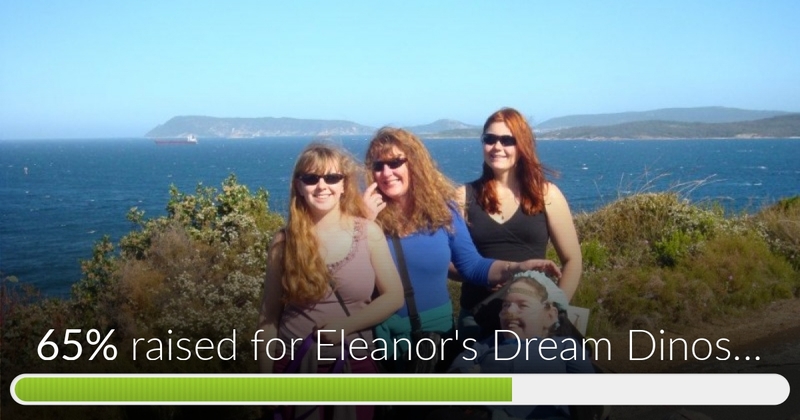 You are all wonderful, and every time you donate Eleanor gets one step closer to her dream. We have not been idle ourselves, we have been grinding, drilling sanding, painting and welding the van every weekend!For those of you who want to see I shall post some photos and videos of our progress from the video camera kindly loaned to us by an Albany City Rotarian. In the next 2 weeks the van will be fitted out with the off road power system, a thank you to the Mt Barker SES for the loan of their silent generator which we can use as backup to our power system. The date is very close now, and we are so excited! Good luck on your amazing adventure! Here's another $45, to hit the $6,500 mark. Not long now 'til you hit the road - how EXCITING! Happy travels, brave fossil hunters! And a great big thankyou to the Rotary Club of the Albany Port for their amazing contribution! A huge thankyou to the Albany City Rotary Club for their very kind donation! Best wishes Eleanor. You're an inspiration. Happy travels!